OVH.com, which claims to be the world's third-largest hosting provider, has selected Cisco's Aggregation Services Routers to expand its cloud and hosted services. OVH.com operates data centers in Europe and Canada, with more than 150,000 physical servers and 500,000 virtual machines serving more than 700,00 customers. With a dedicated fiber optic network, OVH.com is able to provide speeds of up to 2 Tbps in Europe and 8 Tbps in North America, crossing 33 global peering points, which ensures superior customer experiences when accessing its servers from anywhere in the world. The company is based in Roubaix, France. 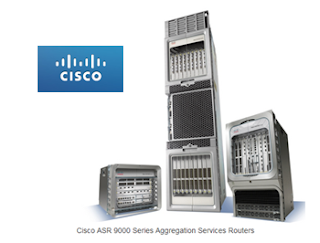 The expansion will use the Cisco ASR 9922 Router, part of the ASR 9000 Series, to enable highly resilient IP connectivity and robust support for both IPv4 and IPv6 across the OVH.com network. Cisco said the platform was selected largely due to its ability to support such capacity with an extensive number of 10 Gbps and 100 Gbps connections. In addition, the Cisco IOS XR modular software operating system and full compliance with IPv6 enables OVH.com to meet customer demand for IPv6 based services. "OVH.com has sought to deploy one of the most advanced networks in the world. By leveraging our own data center technology for our servers and our IP network from Cisco, we're able to deliver a faster, lower latency solution for our costumers while minimizing our power consumption and carbon footprint. No other Cloud and hosting company has our combination of flexible service offerings and global reach to so many Internet service providers," stated Octave Klaba, C(E/T)O of OVH.com. Earlier this year, Infinera confirmed that OVH.com had selected its DTN-X platform to interconnect its data centers via its pan-European network. The OVH pan-Eureopan network links data centers throughout 10 major European cities in seven countries. AT&T announced a bid to acquire Leap Wireless for $15 per share in cash -- a deal that values the San Diego-based carrier at about $1.2 billion. Leap currently operates a 3G CDMA network, as well as a 4G LTE network covering 21 million people across 35 states. The company serves about 5 million prepaid mobile users under the Cricket brand. It currently ranks as the fifth largest mobile operator in the U.S. The deal would include all of Leap’s stock and wireless properties, including licenses, network assets, retail stores and approximately 5 million subscribers. As of April 15, 2013, Leap had $2.8 billion of net debt. Leap shareholders will also receive a contingent right entitling them to the net proceeds received on the sale of Leap’s 700 Mhz “A Block” spectrum in Chicago, which Leap purchased for $204 million in August 2012. AT&T said its bid is driven by Leap's spectrum in the PCS and AWS bands, which covers 137 million people and is largely complementary to AT&T’s existing spectrum licenses. AT&T would add Leap’s unutilized spectrum – which covers 41 million people – to its 4G LTE network, providing additional capacity and enhanced network performance for customers’ growing mobile Internet usage. AT&T also said it would retain the Cricket brand name, provide Cricket customers with access to the AT&T 4G LTE mobile network, utilize Cricket’s distribution channels, and expand Cricket’s presence to additional U.S. cities. The deal requires approval by the FCC and the the Department of Justice. AT&T expects the transaction to close in six to nine months. 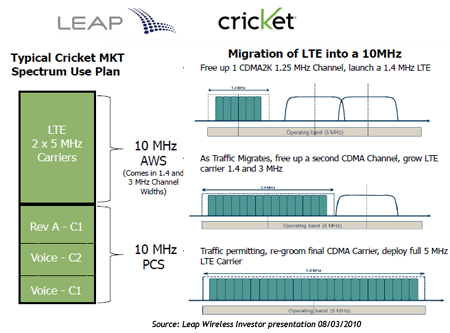 Leap Wireless was founded in 1998 as a spin-off from Qualcomm. In 2007, MetroPCS offered to acquire Leap Wireless but the deal ultimately was called off. 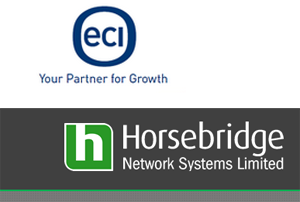 Horsebridge Network Systems, a UK-based international network and security infrastructure supplier, has selected ECI Telecom as their technology partners in the rollout of an advanced fiber-to-the-home (FTTH) project in the City of Westminster, London, UK. Horsebridge have setup a new company called Community Fiber Ltd that will provide TV, Broadband and telephony services to Westminster’s residents. Plans call for the installation of GPON in more than 22,000 homes in the City of Westminster over the next three years. The project will use ECI's I-OLT platform, which is optimized for any FTTx architecture and supports GPON, active Ethernet and full traffic aggregation capabilities.